A shooting suit is a highly technical, functioning, garment. Desmond is a former keen shot for well over 20 years, which enables us to fully understand first hand the technical requirements of your shooting garments. 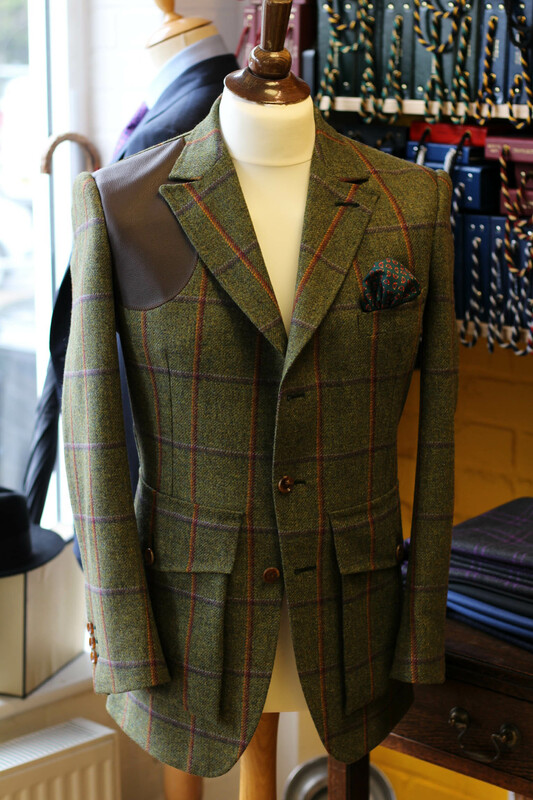 We have a vast choice of the finest English and Scottish heavy wool tweeds for traditional weight shooting suits. Or, for shooting in warmer climates, 11-12oz worsted Alsport is perfect. The cutting and fitting of the sleeves is absolutely crucial for taking high birds or a right-left at partridge. All our shooting suits have excellent swing capability through the sleeves. With Des, you are working with a true craftsman, far superior to London bespoke tailoring. A fuss-free approach makes the whole experience of commissioning a garment totally enjoyable and unhurried. WHY GET YOUR SHOOTING SUIT FROM US?